What are the Benefits of Argon Gas in Windows? Have you ever wondered why your home energy bills increase but the actual cost of your energy hasn't? Depending on your energy source, it's possible that your real cost per unit of energy has decreased over the years. However, that may not be reflected in your heating or cooling bill. Due to inefficient windows and drafty doors, it’s likely that energy in your home is being wasted. And unfortunately, you still have to pay for it. If this sounds like your home, it may be time to look at the construction of your windows. Across the country, thousands of dollars in energy are sucked out of inefficient windows every year. If you're considering replacement windows or even a whole house renovation, and energy efficiency as well as high energy costs are a concern, you should consider installing argon gas-filled windows. 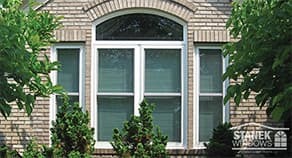 Because old windows are generally single-paned, they can be drafty and inefficient. This leads to heat loss through the glass and space around the windows. Since oxygen can corrode the surrounding window material, warp can also occur, further contributing to the loss of heat and cool air throughout the year. 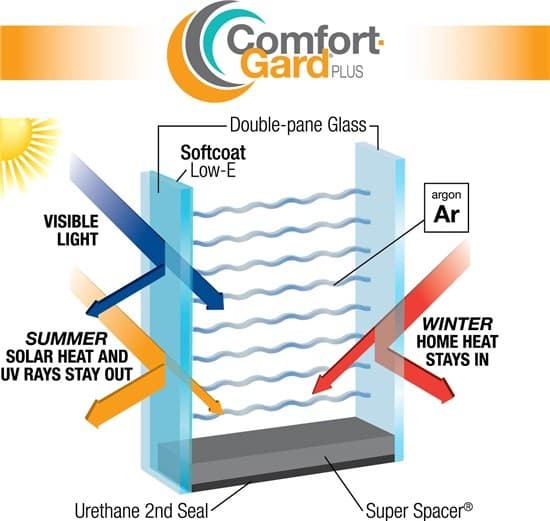 Double-pane windows can be filled with argon gas to help insulate a room and minimize the transfer of heat through the window. It's a colorless, odorless gas and not harmful in any way if leaking should occur. How does argon gas work to make windows more efficient for your home? Because argon gas is denser than air, adding it to the captive air in double-pane windows improves thermal insulation efficiency. Used in conjunction with a special low-E (short for low emissivity) glass coating, argon gas windows bring the temperature of the window closer to room temperature. This process ultimately eliminates air currents and drafts that occur when differing temperatures meet. Are argon gas-filled windows right for me? While injecting argon into double-pane windows can be initially more expensive than cheaper, single-pane windows, the long-term benefits of energy efficiency are priceless. With more stringent energy codes being imposed in recent years, higher efficiency standards must be met when new windows are installed. If you're considering window replacement or looking into house renovations, just remember that installing argon gas-filled windows can help improve your energy efficiency and lower your home energy costs. 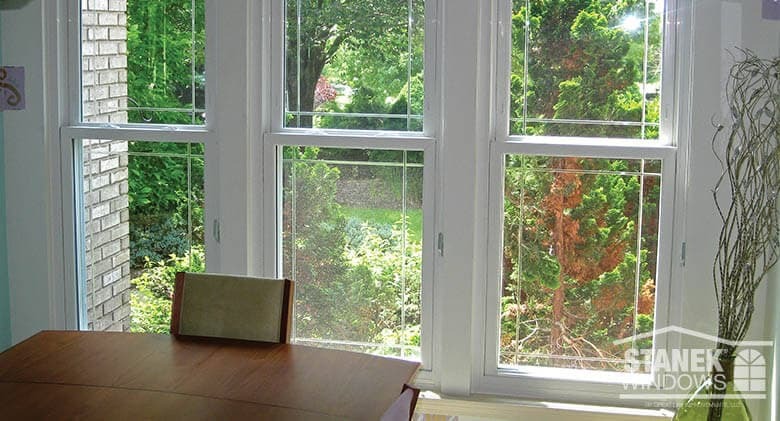 Want to learn about making your home more energy efficient with replacement windows? 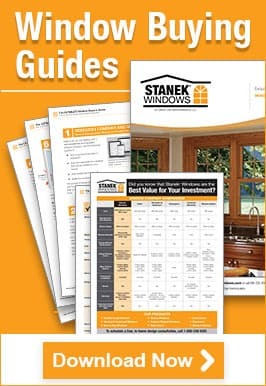 Schedule your free in-home estimate with Stanek® Windows today.